Enclave Blythewood is a gorgeous 228-unit community that was designed with a unique equestrian architectural theme. This product was developed in 2008 by McCall Capital and is located in Blythewood, SC, a growing suburb of Columbia, SC. Enclave Paris Mountain is the newest edition to the McCall Capital portfolio. This 232 high-end apartment community features breathtaking views of Paris Mountain and is within a few short minutes to Greenville South Carolina's award winning downtown. 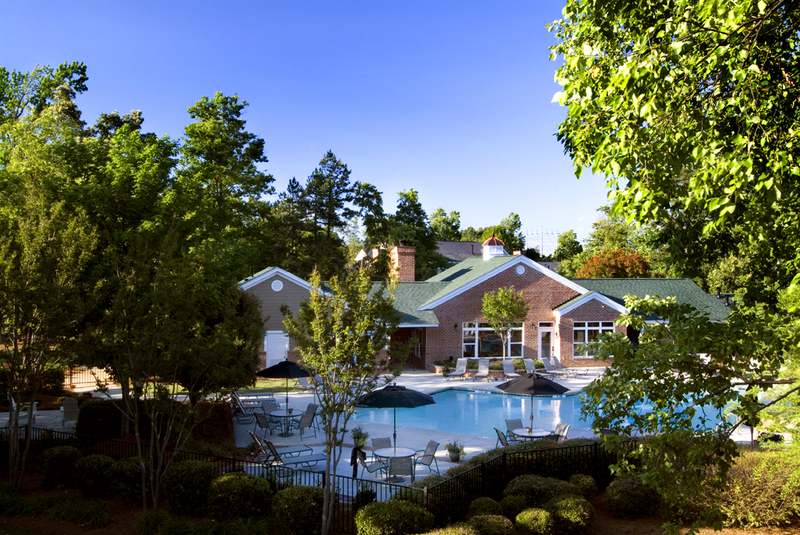 With a team of experienced leaders, McCall Capital has developed and/or acquired approximately 2,230 apartment units, throughout the Carolina's, which are valued at approximately $200 million. McCall Capital and its professional team are responsible for all aspects of the development and acquisition process. McCall Capital utilizes a detail-oriented approach to these processes to create incremental asset value throughout the investment cycle. McCall Capital's asset management philosophy is a "hands on", incremental, value-added approach that optimizes the properties' operations, cash flows, and valuations based upon the investors' financial goals and time horizon. Daily operations are paramount to an asset's success and McCall Residential is fully devoted to offering every resident the best quality and service. McCall Residential operates its properties in an efficient and professional manner while always putting the residents first. McCall Capital, LLC is a private equity firm devoted to build, acquire and manage apartment communities throughout the South East. An independent and entrepreneurial spirit is encouraged throughout our team to help our communities grow and become established. We cherish our investors, employees, contractors and most importantly our residents. We take great pride in the work that we do while building and refurbishing apartments and commit to managing with the upmost of customer service.